Humans have shown throughout their history they are capable of feats of miraculous survival. Although it may appear our physical forms are not all that tough when compared to other creatures in the animal kingdom, the truth is there are many people who survived crazy situations that most of us would generally not be able to live through. In a combination of sheer willpower, medical knowledge, and technology, people have been able to survive some really crazy freak accidents. These true survivor stories show us that even in the bleakest of situations, you can sometimes make it out okay. It’s a good thing too, because humans seem to be able to find themselves in all kinds of bizarre situations that cause shocking injuries. Whether it is a freak accident or a stupid stunt, these unbelievable tales demonstrate the remarkable people who survived the odds despite the horrendous injuries they sustained. In 1978, Russian physicist Anatoli Bugorski was involved in an accident where a proton beam hit him in the head. The beam had been sped up to almost the speed of light in a particle accelerator, similar to the one used at CERN, as part of an experiment in Russia. At the time, medics and scientists were unsure what damage could be caused by the collision, as nothing like this had ever happened before, but most assumed it would likely kill Bugorski. He was subjected to more than 400 times the lethal dose of ionizing radiation when he was hit. Bugorski did not feel any pain at the time the proton beam hit, but did say he saw a light brighter than anything he had ever witnessed. It seemed like the physicist was incredibly lucky. Besides part of his face swelling up to twice its normal size, there were relatively few side effects. When the swelling went down the left side of his face was paralyzed and he was deaf in his left ear, but he went on to live an almost completely normal life and even completed his PhD. Roy Sullivan was a US park ranger who worked at Shenandoah National Park in Virginia. During his life, he was struck by lightning a world record seven times, each in its own separate incident. In the 35 years between the first and seventh strikes, he was never seriously injured, but did suffer from burns and get knocked out several times. He considered his fourth strike in 1972 the worst, and claimed to have been struck as a child while helping his father in the garden when he was a boy, although it did him no damage. Sullivan died in 1983 when he killed himself with a gunshot wound to the head. When Anna Bågenholm, an orthopedic surgeon from Sweden, had a skiing accident in 1999, she almost certainly should have died. While she was skiing in Norway, she lost control of her skis, fell headfirst onto a frozen stream near a waterfall, and somehow slid though an open gap in the frozen water. Her body became trapped under the ice, which was about 20 meters thick. She found a small air pocket to breath, and she suffered circulatory arrest due to the cold temperatures after 40 minutes. In total, she sat in the water for nearly an hour and a half. During that time, her body temperature went as low as 56.6 degrees Fahrenheit due to extreme hypothermia. It took a team of over 100 medics at a nearby hospital nine hours to bring her back to life. It took a extra two months for her to recover from paralysis and gain back most of her bodily functions. By 2009, she only suffered from some minor nerve damage issues. It was speculated the extreme cold slowed down her metabolism, meaning her cells needed much less oxygen to survive. In 2003, Ron Hunt was a construction worker working in Truckee, CA. As he was working on a job, his ladder suddenly gave way, sending Hunt and the drill he was holding down to the ground. Following standard practice, he attempted to throw the industrial power drill he was holding as far away as possible to avoid hitting it. Unfortunately, he was didn’t succeed, and his head clashed with the metal tool. The 18-inch long, 1.5-inch thick drill bit forced its way through his eye and out of the right side of his skull. 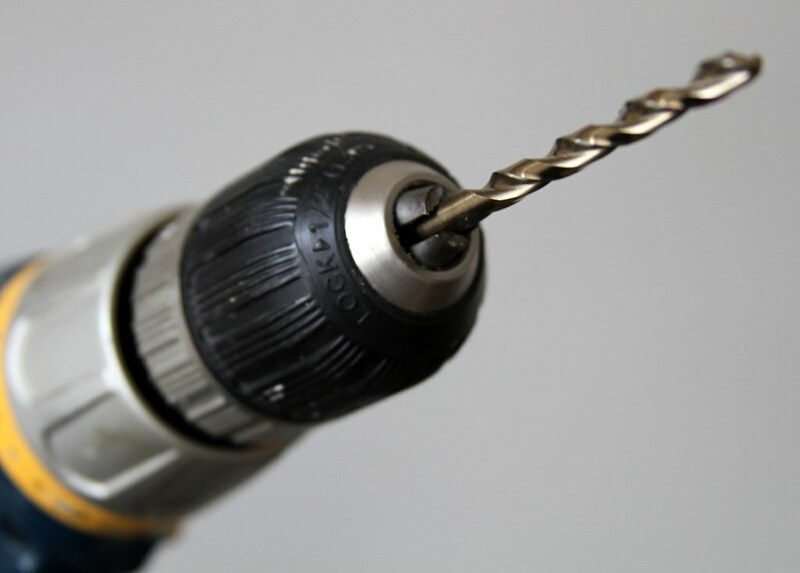 By a miraculous stroke of luck, the drill didn’t tear through his brain tissue but instead pushed it aside. This meant there was no damage to his brain, but his eye was injured pretty badly. Surgeons took out the drill by unscrewing it from his eye.